I'm not a materialistic person. I'm happier having an awesome, memorable life experience than having things. With this being said, I am particular about investing in simple things that work well. For example, companies like Oxo and Simple Human make my heart sing and while some might think they're pricey I'm of the belief that it's better to invest in a quality item that you don't have to replace rather than get something cheap that might break easily and need replaced often. Enter my search for the perfect can opener. I've been married for 5 years and as part of our wedding gifts received a Kitchen Aid set of kitchen utensils which included a can opener. I'm familiar with Kitchen Aid from their line of mixers (I LOVE mine and use it regularly) and while they're built to last some of the items in the utensils set were not including the can opener. I was surprised when it just completely snapped apart when trying to open a can. We then moved on to a couple others which promptly broke as well, and even got to the point where in the interim of searching for a comfortable can opener used tools from our tool kit to open cans in desperation. I just wanted an awesome can opener that didn't make me feel stressed out (or end up with red fingers)! 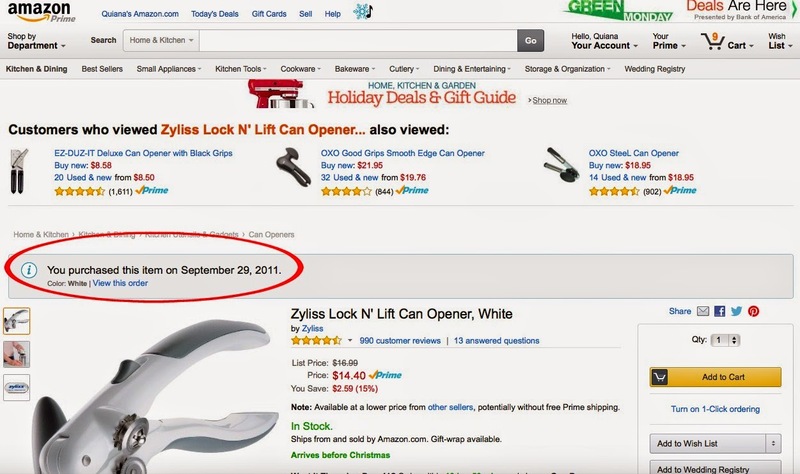 I turned to Amazon and after reading many reviews settled on this Zyliss Lock N' Lift Can Opener. Growing up I remembered my mom having a Zyliss, and I did what any typical Amazon shopper does and read the reviews. Nearly 1,000 reviews ya'll with an average of 4 1/2 out of 5 stars. I didn't realize people were just as passionate as I was about can openers! I ordered it and it was everything it promised to be: it handled our industrial-sized BJs cans with ease and was comfortable to grip. I don't know how it happened, but the spring locking mechanism popped off a few weeks ago and with the holiday season approaching (meaning LOTS of cans to open) I panicked and went back to Amazon to see exactly how long ago I ordered it and what could be done. I was so excited, Mr. Lovebird thought I had won Publisher's Clearing House. Simple things I tell ya. That's all it takes! I'm now back to happily opening my cans. Thank you Zyliss for your awesome customer service and making this cook super happy! 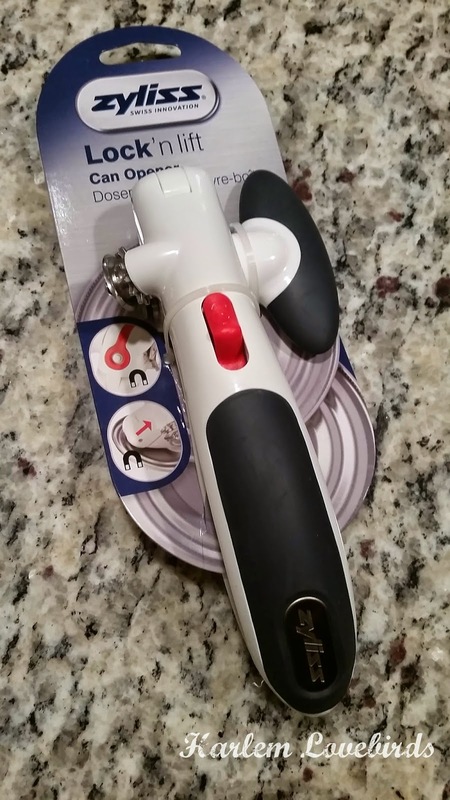 Do you share my passion for a particular kitchen gadget? P.S. Click here for a recent cringe-worthy example of how *not* to be a squeaky wheel. Can you believe this guy?